You can book at Westwood Hairdressing Chelmsford online using our Book Now button located above. Select from a list of services offered, pick your favourite Westwood Hairdressing staff member and book from the dates available. 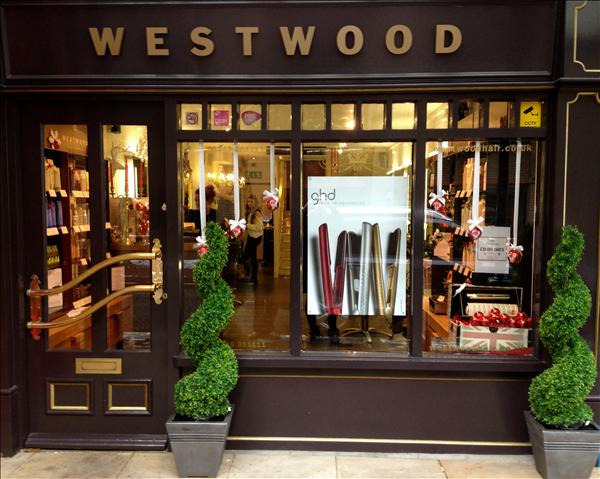 Westwood Hairdressing is situated within the fashionable area of Baddow Road in Chelmsford. Offering the full range of Hair Styling and Colouring expertise and specialist services including volumising, straightening and smoothing. Experience a relaxed and intimate atmosphere where first class Hairdressing is available in the comfort of a very welcoming enviroment. The overall ranking and star rating is based on customer reviews received in the last 6 months. All customers that paid for a service at Westwood Hairdressing were requested to complete an independent review by mylocalsalon (a minimum of 26 reviews are required within the last 6 months to receive a ranking). Fantastic and lovely staff members, I felt like a VIP! This was my first appointment with the Westwood salon - and I was made to feel like I was already a valued client. I was asked about my hair - any problems or special conditions that might be relevant to the treatment that I had booked. I really appreciated this as I had previously had some bad experiences. It was a very good experience - and I would not hesitate to recommend them. I was made very welcome by all the staff there - from reception to hair-wash as well as my stylist/ colourist. I had my hair done by Elise - and I was very happy with my high-lights and the cut and blow-dry afterwards. I have received many compliments on my hair since then - so I am a very happy new client for Westwood. Do not hesitate to book!